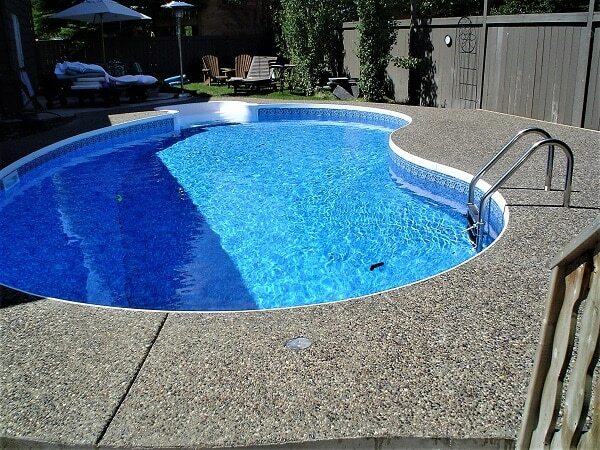 Exposed Aggregate Concrete is very common and widely used in Vancouver and Canada.Exposed Aggregate is able to stand up to our cold winters with the least damage of any decorative concrete finish. This is due to the top surface being washed off leaving the weaker cream present in other finishes absent and decreasing chances of spalling. 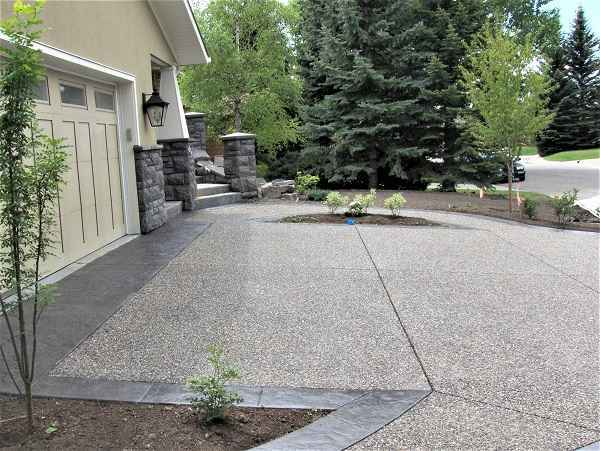 Exposed Aggregate mixes are special mix designs with a higher rock content than other mixes so there is a higher surface area of rock content, which is desired in this decorative concrete finish. Aggregate colours, sizes will vary due to supply, and sources changing over time. Aggregate mixes range in size from 10mm to 14mm normally. Colour can also be added to aggregate mixes to match stucco or siding with custom colour matching available. The preparation of the slab is the same as stamped concrete; please see that section for more information on its preparation. The difference starts for exposed aggregate concrete when you have finished the concrete. Instead of being indeed finished, we then spray a retarder on the surface which prevents the top 3/16” of the Slab from setting. We return later to Exposed the surface either with power washing or sandblasting the surface. 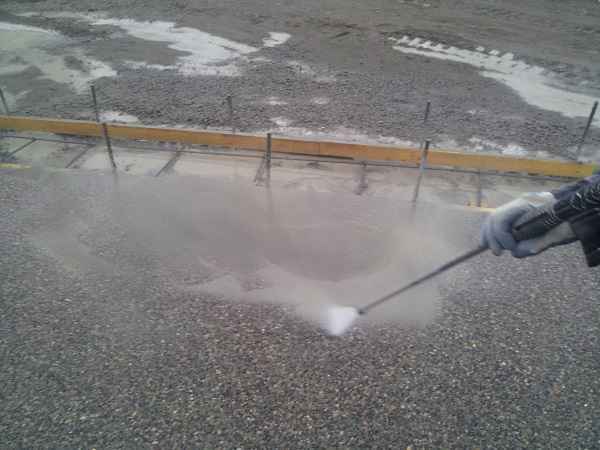 Most common for slabs on grades to Exposed Aggregate Concrete is power washing. This method is messy and we advise any favourite flowers near the work area should be transplanted during this very messy Concrete Construction process. Concrete Stairs and steps are sometimes washed too, but most often sandblasted for best results. Concrete sealing is the next step in your new exposed aggregate concrete project. The most common sealer for exposed aggregate is acrylic high gloss sealer with a 25 to 30 percent solids count, the higher the solids, the thicker the concrete sealer, which is what directly relates to the length of the sealers life. Non-slip additives can be added to sealer to make them less slippery. We always apply concrete sealer by roller to work the sealer uniformly into the aggregate concrete surface. Concrete sealing is often overlooked as years pass which can really affect the quality of your Concrete work. Sealer helps protect against some stains and will slow moisture transmission into the Slab which can in winter months be harmful. When we install any decorative concrete services we always include the sealer at no additional charge. 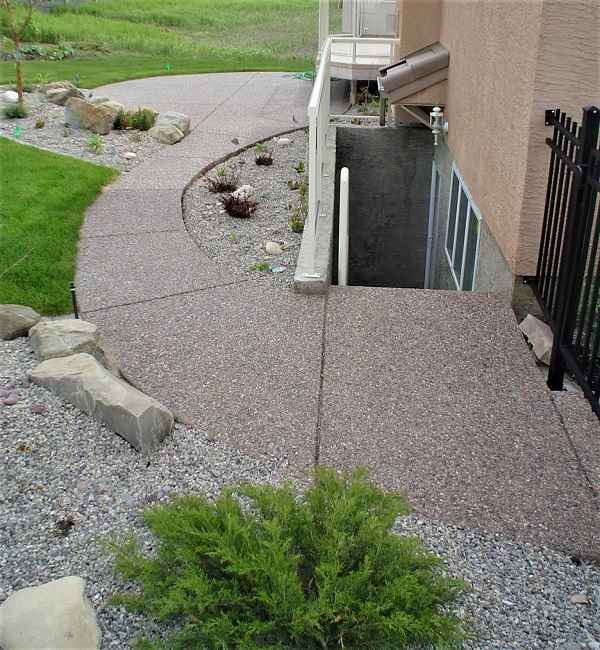 We offer concrete sealer maintenance packages to prolong the life of your decorative concrete. Please contact us ( contact page) to get on a sealer schedule and prolong the life of your investment while enhancing the appearance. We price exposed aggregate jobs differently based on many factors. The most common item that does affect the cost of your exposed aggregate job per square foot is the size of the job. Larger jobs are less per foot square than a smaller job. The access to equipment is another factor. Complexity can also affect pricing, having many separately formed pieces, with radius points, and thicken edges for example, versus a simple big square pad would cost less. Aggregate seeding which is the process of adding additional aggregate to the surface when it is not practical to have the entire Concrete mix made out of that particular aggregate. An example would be obsidian, which we have seeded. For These reasons, we prefer onsite estimates so you will have the most accurate quote to base your decision on. 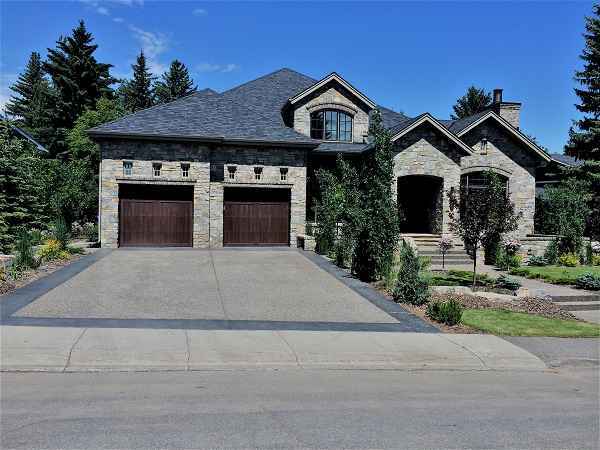 Contractors and especially decorative concrete contractors are in great supply in Vancouver and picking a good one may be difficult. We have 20 years plus experience in Exposed Aggregate Concrete. By contacting us you will have made a great first step in contacting a concrete contractor who will give you competitive pricing, great service and concrete work that we both will be proud of for years to come. Concrete is not just a job for Iron Trident Concrete it is our passion, our life. Please check us out on your favourite social media below to see some of our current projects.